For a refined, warm look, horizontal wood blinds are a handsome solution for any room. Available in either wood stains or paints, wood blinds can accentuate or blend to any style. Functionally, they are great insulators, light blockers, and are one of the more low maintenance window coverings. 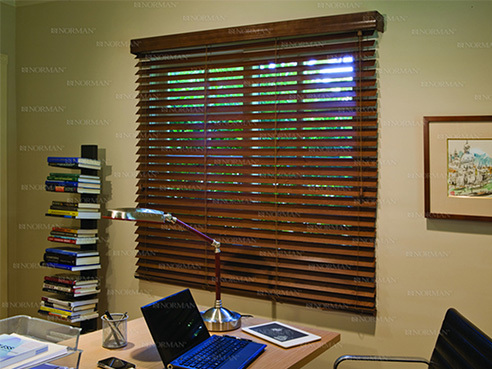 Aesthetically, wood blinds are a natural, timeless way to address a formal or casual setting. Cloth tapes and decorative valances are options that give the opportunity to customize their look.